Is there a better alternative to Abalinio? Is Abalinio really the best app in Card and Board category? Will Abalinio work good on macOS 10.13.4? 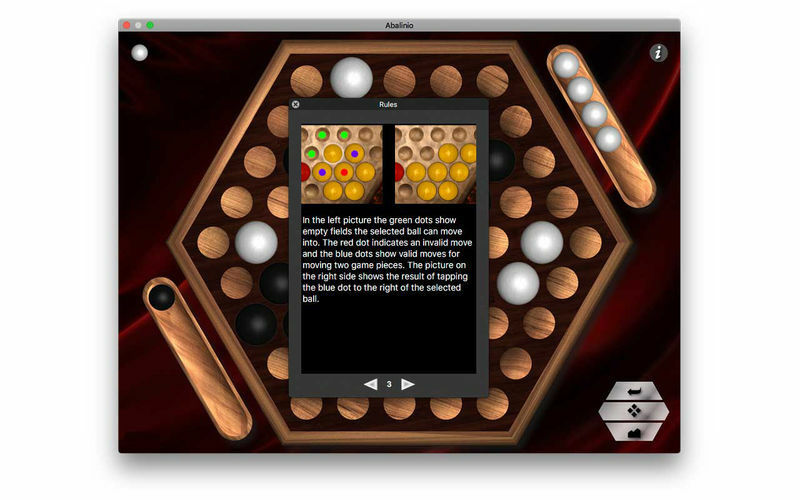 Abalinio is based on one of the old African Mancala games which have been around for hundreds of years. The name Abalinio is derived of the Spanish Abalón (Pearl). Like in chess and similar board games players take turns. To win one must push 6 of the opponent's game pieces off the board. Fixes some potential alignment issues on macOS 10.13. Abalinio needs a review. Be the first to review this app and get the discussion started! Abalinio needs a rating. Be the first to rate this app and get the discussion started! 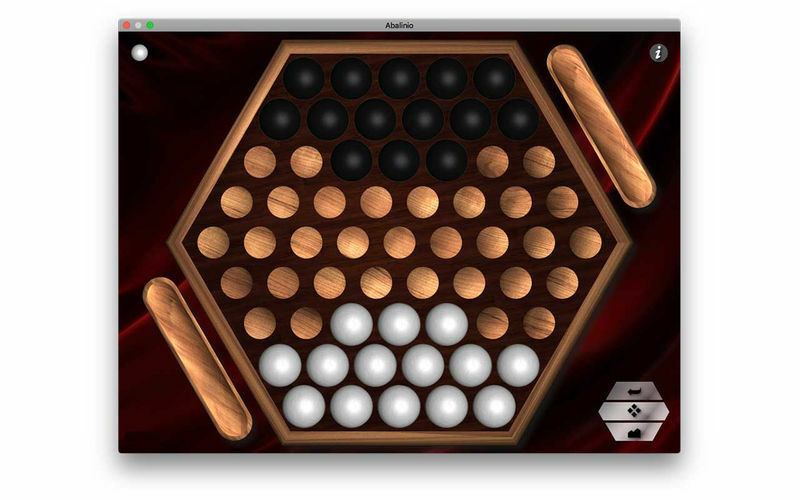 Abalinio features a hexagonal board which allows game pieces to move in 6 directions. 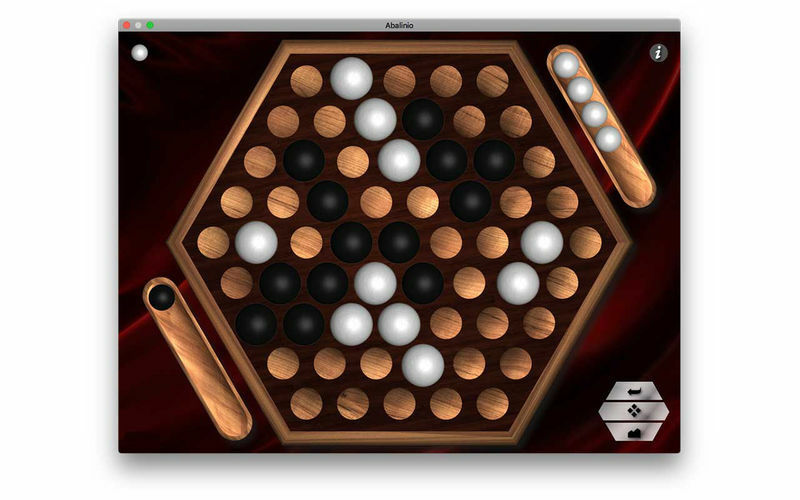 A very basic move consists of two actions tapping the game piece once to highlight it and then tapping an adjacent field or game piece to indicate the move's direction. 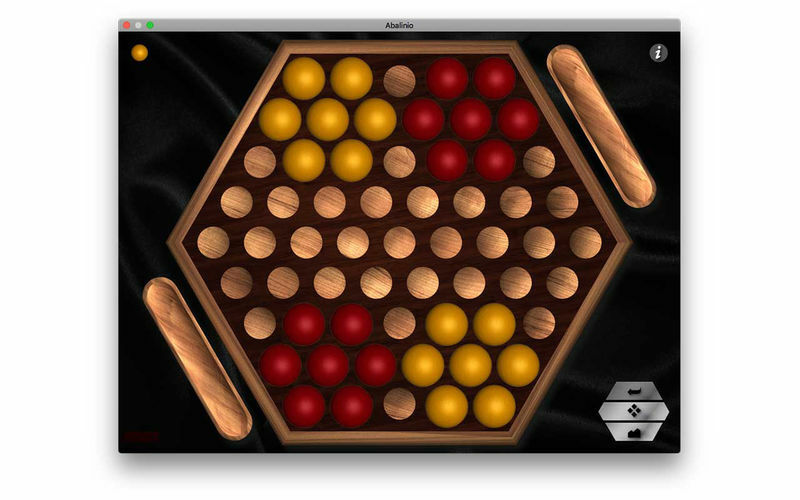 A player can move up to 3 balls which in turn can push up to 2 of the opponents balls. 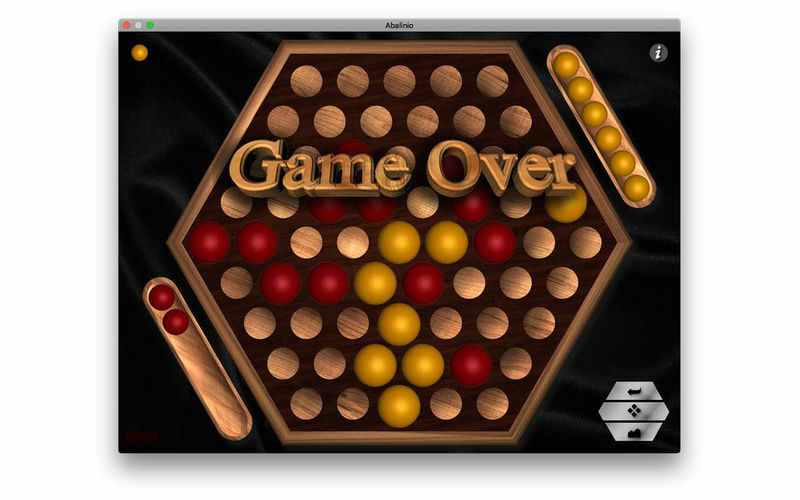 In order to move the opponent's game pieces one must have the higher line strength--i.e., 3 balls can push 2. So-called fliche moves are also supported.